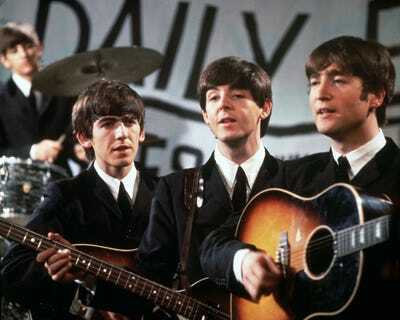 Getty ImagesThe Beatles perform in November 1963. With his upcoming authorised documentary, Ron Howard is looking to tell the story that fans don’t know about The Beatles. The first trailer and poster for the feature-length doc “The Beatles: Eight Days a Week — The Touring Years” were released Monday along with a firm date for the film’s theatrical release: September 16. Hulu, as part of its vision to stream exclusive documentaries, will begin streaming “Eight Days a Week” the following day on September 17, making it the first documentary feature to premiere exclusively on Hulu following its theatrical run. The film was made with the full cooperation of band members Paul McCartney and Ringo Starr, as well as John Lennon’s widow Yoko Ono, and George Harrison’s widow Olivia Harrison. According to Deadline, Howard’s documentary uses rare and exclusive footage to trace the band’s rise to fame from 1962 to 1966, beginning in the days of gigs at Liverpool’s Cavern Club and going through the band’s final concert in 1966 at San Francisco’s Candlestick Park.